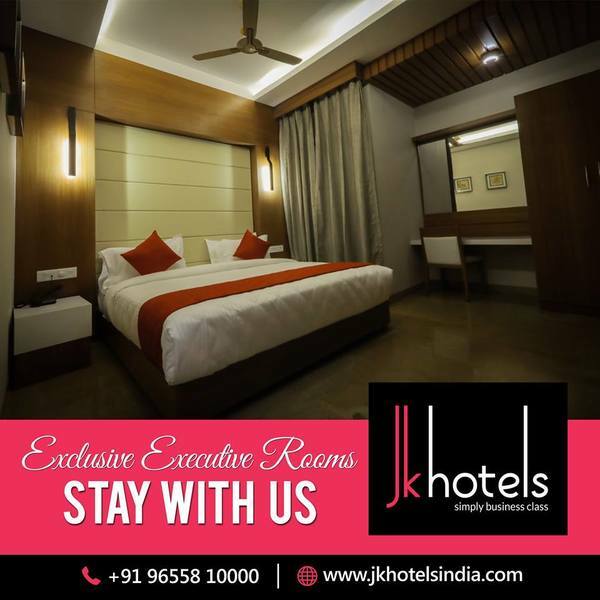 JK Hotel gives you a Feel at home in any of our 28 luxury rooms which include business class rooms, executive rooms that comes with chic interiors and vibrant colours. 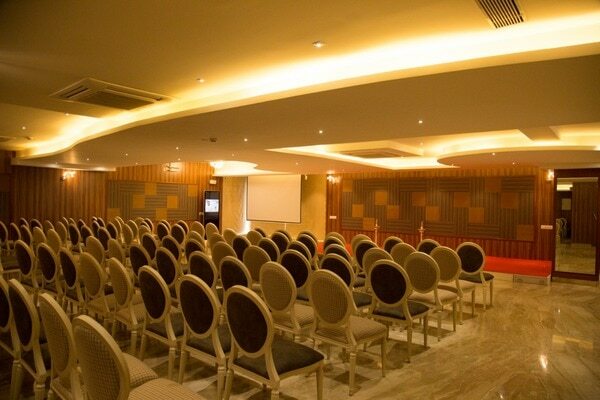 While providing all that is essential for a business traveler, a fleet of comfortable and spacious rooms coupled with modern amenities and unmatched services make it perfect for people on a leisure trip. 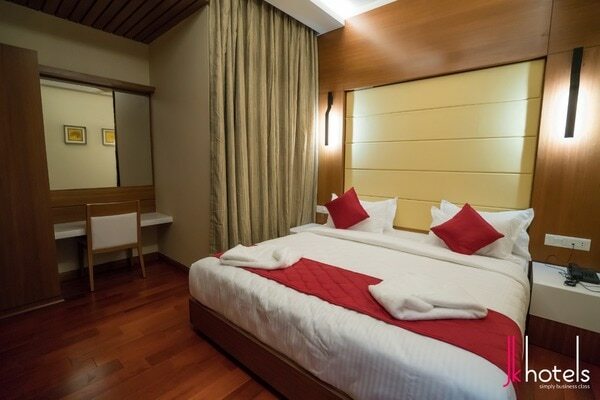 Our rooms offer all the conveniences & provisions for guests with disabilities. 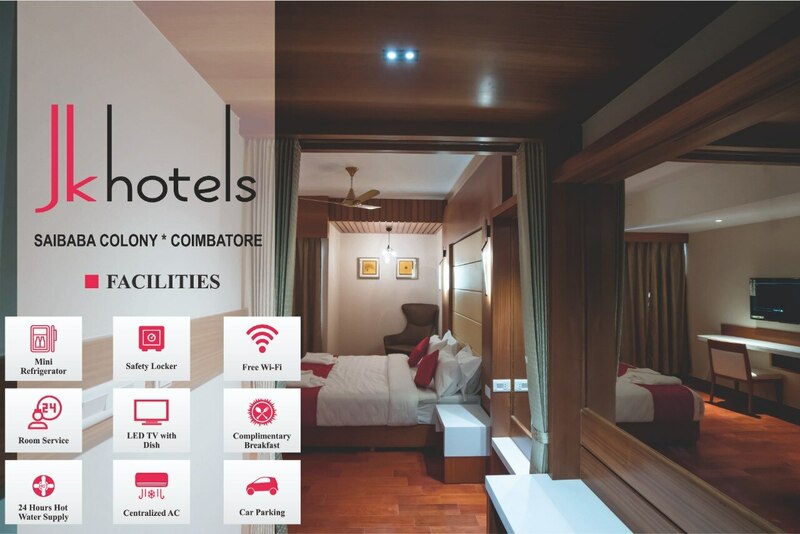 Complimentary Wi-Fi and laundry services are a cherry on top.